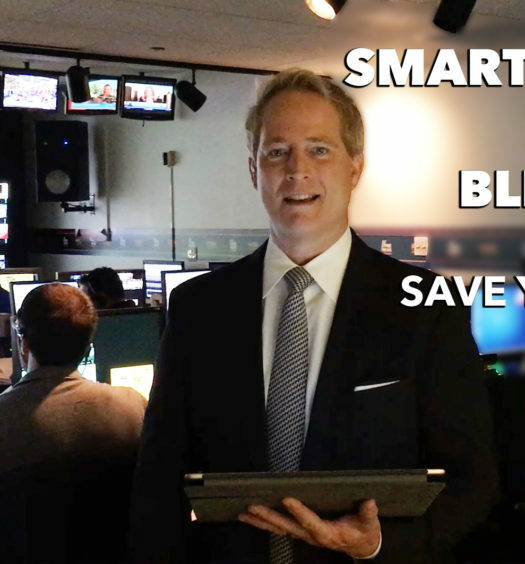 Apps and gadgets can help you learn how to sleep better. Getting the right number of Zzzzs depends on your own feeling of rest. For most people the sweet spot each night is 7 hours even though experts say we should be getting 8 hours. Fall below 7 hours of winks and your health could decline. Some apps could be counterproductive and evidence suggests too much information about your sleep can create anxiety and a further loss of good rest. As well as using apps to get better sleep, you may also want to consider the idea of your mattress being a part of problem. If you think this is the case, you could look into a site like Leesa where you can purchase high quality mattresses and bedding for you and your family. The idea of wearing bands and other devices to measure your sleep is so last year. Here are the latest breakthrough tools that do more for a good night’s rest without needing to wear anything at all. 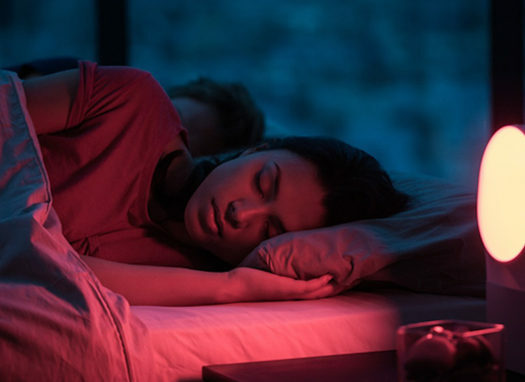 New breakthroughs including a crowd-funded device called The Eight may finally help insomniacs make it through the night with uninterrupted sleep. 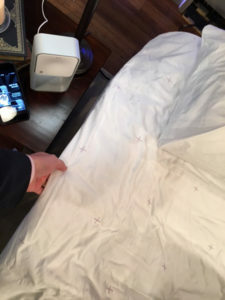 The Eight is perhaps to most advanced mattress cover loaded with sensors that analyze 15 factors to identify conditions to help you get good sleep. It’s a whole new approach taking the best of sleep tracking and rethinking what is possible. The Eight can talk to a Nest thermostat for example. If it senses your body and bed temperature rising to high, it can lower your thermostat keeping you in REM instead of waking up in the middle of the night. With the Eight being a connected part of your home, imagine your bed signaling the morning coffee to brew when it senses you are getting ready to start the day. Get ready, because its a reality with a pre-order start price of $99. 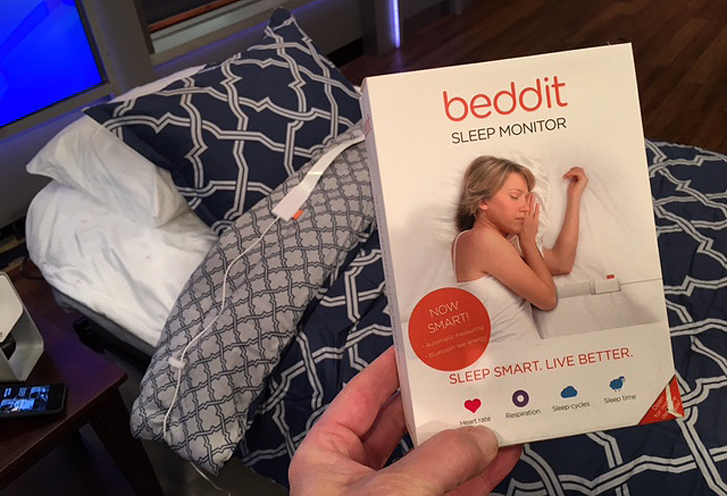 Beddit is another non-wearable sleep device. You lay the thin tape-like white ribbon under your sheet and with your Apple iOS or Android smartphone within bluetooth range, it monitors your vitals and reveals data to help you learn more about your sleep cycles so that you can get a better night sleep by using tips for tweaking some things that could be getting in the way of a good snooze. 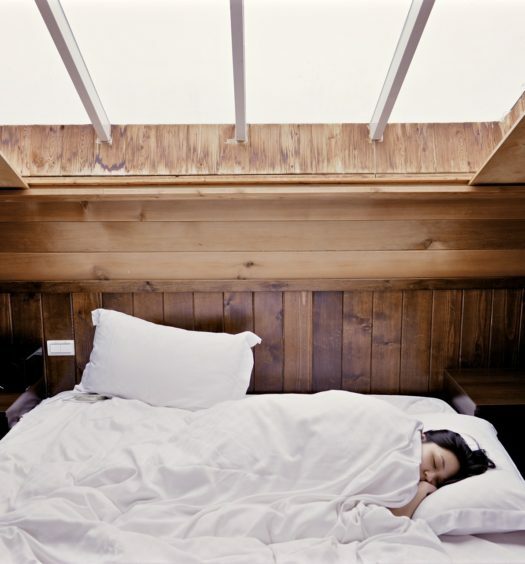 How much is a good night sleep worth? Beddit thinks at least $129 according the current price tag of the device. The free companion Beddit sleep app is worth noting that it amongst the easiest to follow. Can an app influence which dreams you have? Apparently there is some evidence pointing to that idea inside the Dream:ON app (iOS). It was developed by physiologists with two things in mind. 1) Sleep and 2) Dreams. 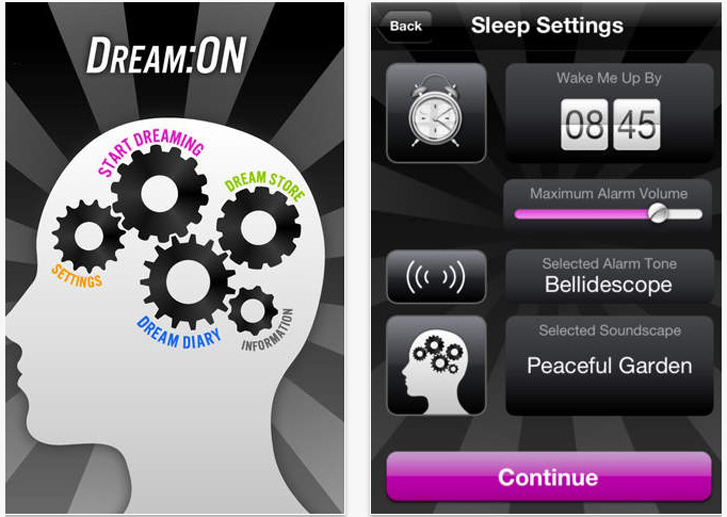 How it works is by guiding your mind when you sleep through dreamscape themes sold within the app. Once downloaded, here is what you will do. And while lack of sleep is nothing new, today 60% of adults say they have trouble sleeping at least one night per week. 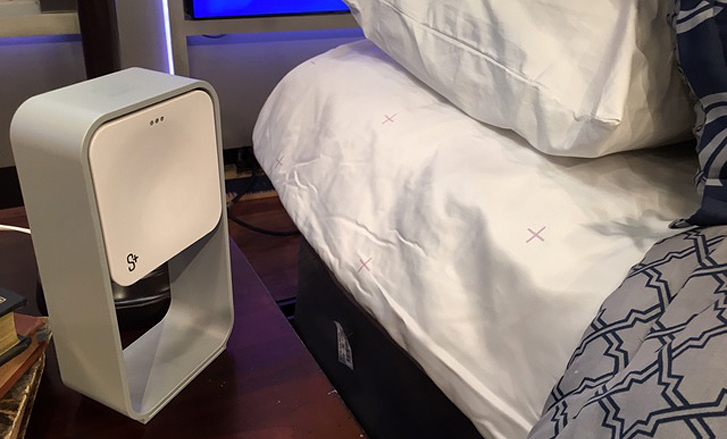 With any luck, these sleep technologies could have you feeling more rested than ever before. I’d like to know what you do to get a good night sleep, hit me up on Facebook.